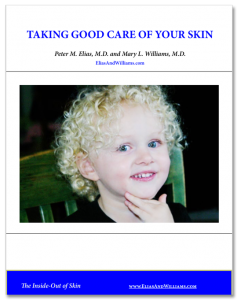 2018 IID Meeting Update: GPSkin Device, A New, Easy To Use Means To Assess The Skin's Barrier And Hydration - Elias and Williams: The Inside-Out of Skin by dermatologists and skin researchers Peter M. Elias, M.D. and Mary L. Williams, M.D. 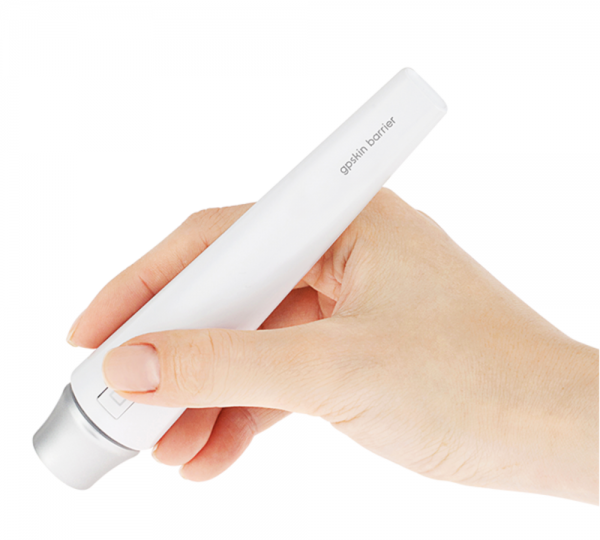 A Korean company, GPower Inc., has developed a small, hand-held device, called the GPSkin device, that can accurately and quickly measure both the barrier status and moisture content (hydration) of the stratum corneum. At the recent IID meeting, Eric Simpson and his co-worker, Erin Grinich, both from Oregon Health Science University, reported that the GPSkin apparatus is as reliable in measuring barrier function and hydration as other standard, but much more cumbersome and expensive instruments. Another useful feature is the accompanying software, which collects the information, and assists with interpretations of the data. A big problem for investigators interested in studying the barrier status of normal humans, and in patients with diseases, like atopic dermatitis and psoriasis, has been both the cost and complexity of the devices that are currently in use to measure barrier function. When you consider both the ease of use and widespread deployment of other medical devices – such as those that measure the blood levels of oxygen or sugar across the skin – it’s rather surprising that the capability to measure water movement and water content have not kept pace. Now, simple to use but reliable devices, such as the GPSkin, promise to make this hurdle a thing of the past. Not only could the GPSkin device be useful for dermatologic research, but dermatologists, allergists and pediatricians also could find it helpful in their clinical practices to determine how well their atopic dermatitis patients are responding to treatment. Nurses and physicians in the intensive care nursery could also find it useful in assessing the maturation of the skin barrier in their premature babies. The ease of use the GPSkin apparatus means that it could even be used by patients to assess changes in their disease activity. Practitioners in skin care salons might also employ the device to determine whether their clients need certain types of barrier repair therapy, or whether the products they are currently using are doing the job – or not. This is particularly important as there is mounting evidence that many of the products commonly used for skin care are actually harmful to skin. With the availability of simple to use and reliable devices, such as GPSkin, that can measure water loss and skin hydration, the assessment of these epidermal functions should become routine in both the research setting and in clinical practice and is likely to lead to improvements in the care of both normal and inflamed skin.